Desire to Fly from Alex Clausen & Susan O’Malley on Vimeo. 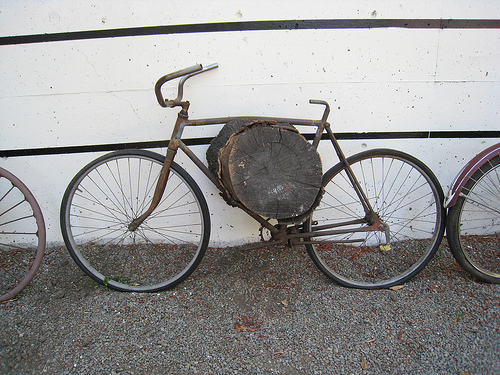 When artist Alex Clausen and I met Alexander La Riviere, proprietor of Faber’s Cyclery and bicycle accident investigator of San Jose, CA, we were fascinated and inspired by how he connected the bicycle to to the history of innovation and change. Since childhood, La Riviere’s life has been intimately entwined with the two wheeled machine. 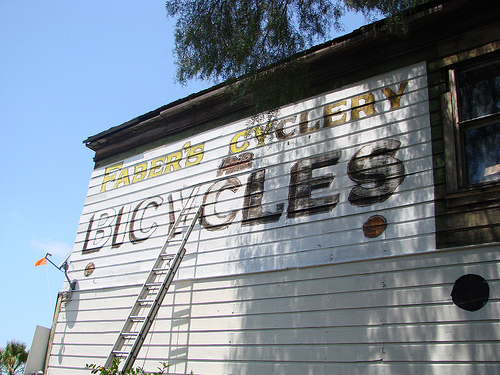 Faber’s Cyclery has not only been La Riviere’s home and business for 30 years, but the building itself has over a century of history. 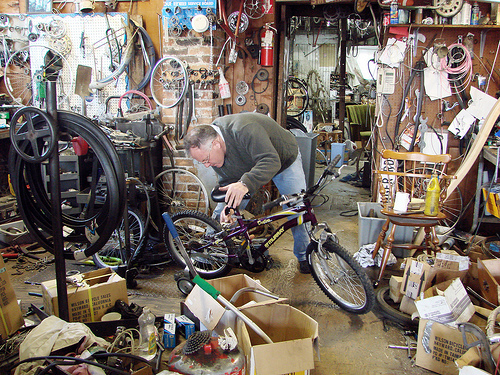 The cyclery has been in continuous operation since 1921, making it one of the oldest bicycle shops in California and the United States and a significant part of the landscape of downtown San Jose. 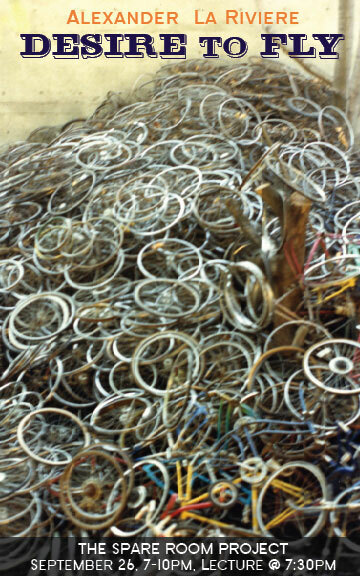 The property on which Faber’s Cyclery stands is currently for sale. This video is a short portrait of La Riviere and Faber’s at the moment when both futures are uncertain.